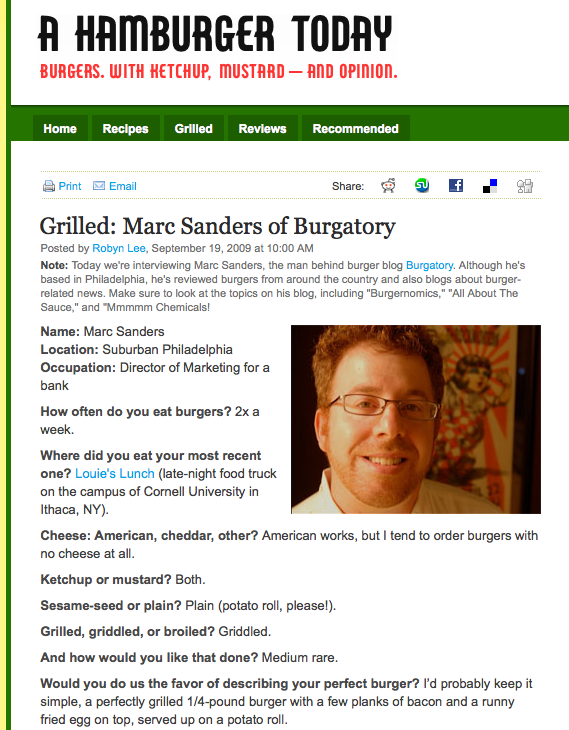 Great burger bits in today’s Philadelphia Business Journal (not normally the go-to source for hamburgers news). First, the home of NYC’s self-proclaimed “Best Burger In Town,” goodburger (all lowercase & smooshed together, them not me) is almost ready to open @ 17th & Chestnut. Then, as part of the weekly CEO bio section comes word that Fatburger will be opening in the Plymouth Meeting Mall this summer (which if you have a 2 year old you will be happy to know also features an amazing carousel and a half-way decent Bellagio-esque water fountain show – ahh, if only they could stay so young and easily entertained forever!!). Bonus burger news if you count mention of a Sonic Drive-In opening at the curiously named Philadelphia Premium Outlets in Limerick, PA (37 miles outside of the City but who’s counting? ).